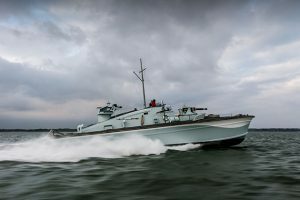 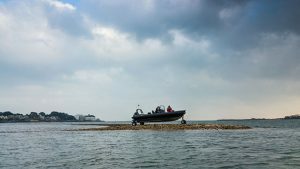 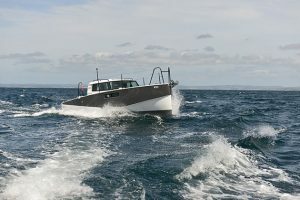 The Axopar 37 is easily one of the most versatile boats we have ever tested. 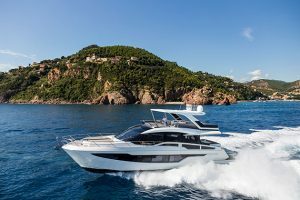 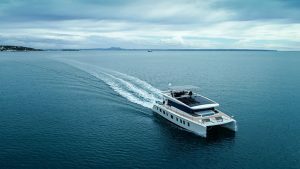 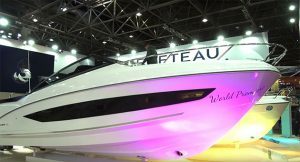 There are myriad twin engine options, three different “body styles” with T-top, Sun-top and wheelhouse options and you can choose between a clear aft deck, wet-bar or the neat aft cabin similar to what we first saw on the smaller 28. 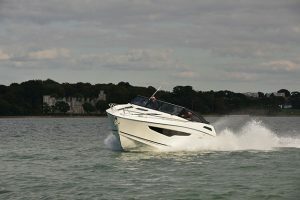 Now the 28 was a fine handling boat and excellent in a chop but, unsurprisingly, the 37 is a level above. 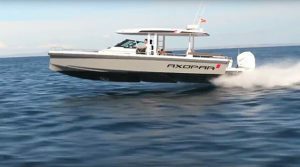 Just watch the video above and see how beautifully this thing glides across the surface of the sea. 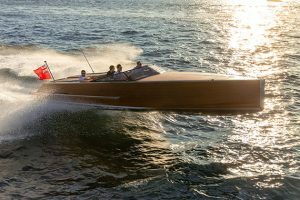 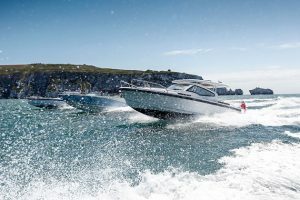 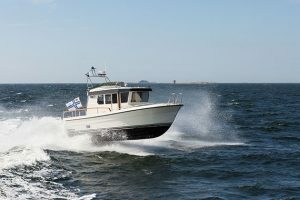 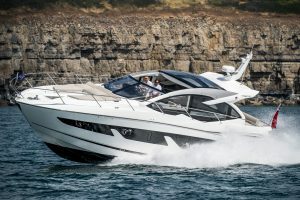 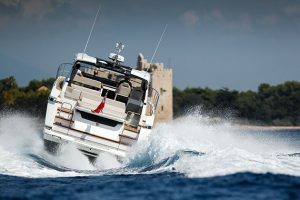 Performance is pretty storming, too, especially with the twin 350hp Mercury Verados that we had fitted on our test boat. 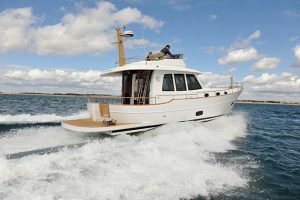 Of course another major difference over the 28 is having a double cabin forward as well as the slightly poky affair aft. 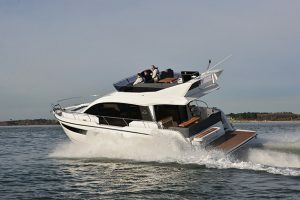 This cabin with its small galley and toilet means the 37 can be used for at least long weekends away on board and maybe even longer. 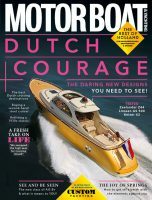 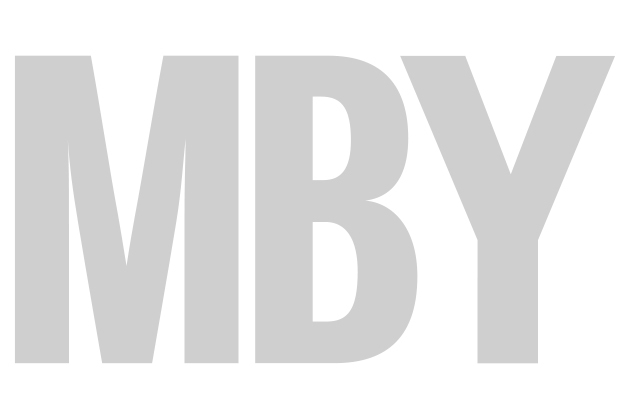 Read the full review in the August 2016 issue of the magazine, out July 7.